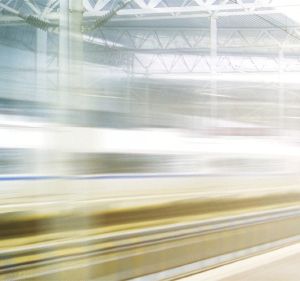 High Speed UK (HSUK) is a design for a national high speed rail network. It has been developed by professional railway engineers to address the multiple shortcomings of HS2. 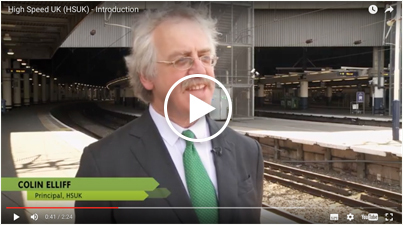 HSUK’s purpose is to transform rail network connectivity and capacity, and to allow all of the UK’s principal cities to be directly interlinked with high quality, high speed intercity services. The key elements of the HSUK design are set out on this website, and are summarised in the HSUK Brochure. 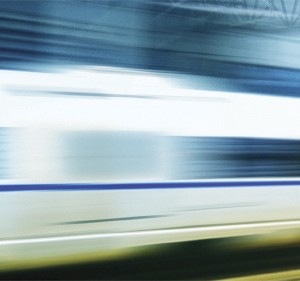 The aim of the HS2 project is to deliver “hugely enhanced capacity and connectivity” between the UK’s major conurbations. These gains in rail network capacity and connectivity are essential to rebalance the UK economy and bring about step-change reductions in transport CO2 emissions. This is what HS2 is meant to do – but because its designers never bothered to design HS2 as a network, it can’t deliver. 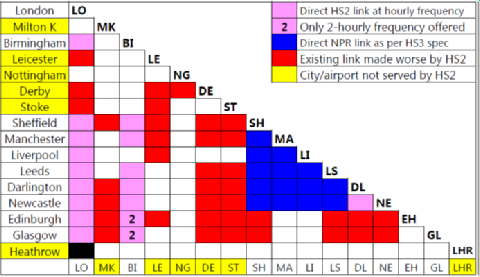 The massive differences in HSUK’s and HS2’s network performance are set out in the diagrams below. The consequences of HS2’s comprehensive connectivity failures should be obvious to any official or any politician. The Government’s and HS2 Ltd’s actions in pressing ahead with HS2 in its current form, and in ignoring the self-evident benefits of HSUK, are bordering on the criminal. 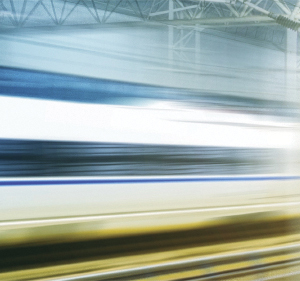 This is what high speed rail should do – interlink all of our major cities and thus “hugely enhance connectivity and capacity”….